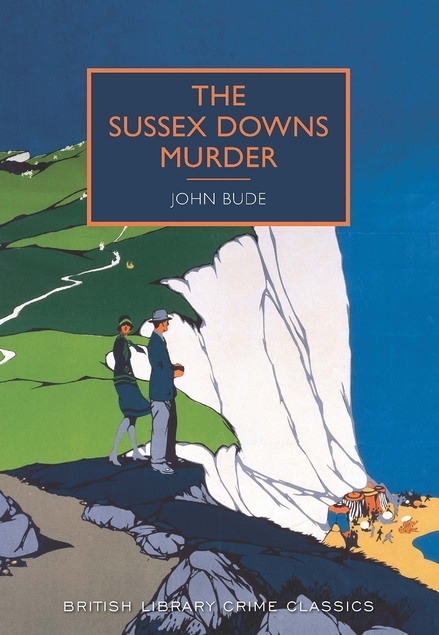 The Sussex Downs Murder by John Bude was first published in 1936 but I read a British Library Crimes Classic reprint. I love its cover which was taken from a Southern Railway poster for Seaford. Another plus for me is – there’s a map! The setting is Chalklands Farm, on the Sussex Downs. Two brothers live there, William and John Rother, the farm has been in the family for three generations and William’s wife also lives there. When John’s car is found abandoned down a remote lane a few miles from the farm it’s obvious from the start that something has happened. A door is open and on close investigation there’s blood inside the car and on the inside of a cap. It doesn’t look like an accident – so what has happened to John and where is he now? Superintendent Meredith is called in to lead the investigation and he uncovers lots of clues which point to various culprits throughout the book. It’s very detail heavy, something that I associate with male writers of crime fiction and by the end of this one my head was fairly spinning! In fact I lost concentration for a minute and had to go back and read a couple of pages over again. Bude’s real name was Ernest Elmore and he was a theatre producer and director. I enjoyed this one, I liked the relationship between Meredith and his son Tony, and I now know what a five valve super-het wireless was! My only slight disappointment was that it was set in a part of Sussex that I don’t know, it’s silly I know but I do like it when I can see the locations. This book has an introduction by Martin Edwards.